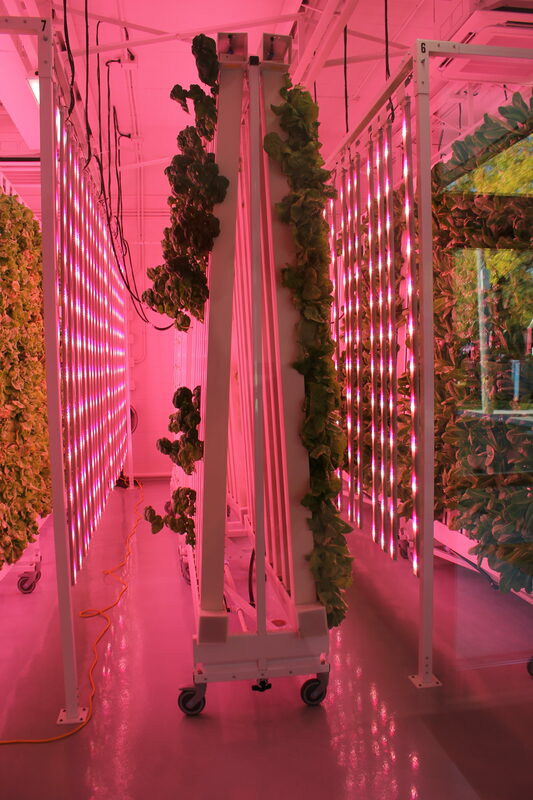 A zip farm is an indoor, hydroponic vertical farm. Vertical farming is an agricultural system that uses state-of-the-art greenhouse technologies to produce food in vertical columns staked beside one-another. It is a form of agricultural production that is beginning to be celebrated as a solution to food insecurity? Plants will start from seeds in plugs which are very tiny vessels made of peat moss. Once the seeds are planted in plugs, they are placed in seeding racks where the plugs are kept moist and warm, and receive 12-18 hrs of light daily. LED lights will be used to economize on electricity. Seeds begin growth in a seedling station until they have grown their first set of true leaves at which point they will be transplanted into ZipGrow Towers. Rather than soil, the plants grow in a “matrix media” made from recycled water bottles. To plant the towers, the matrix media are lined with wicking strips which help convey water and nutrients to the plants. The plugs are sandwiched in the fold of the matrix media using appropriate spacing and then pulled or “zipped” into the tower. The towers are placed in rows and are spaced 16” from each other. The rows of towers are placed 20” apart and are on racks with wheels enabling easy movement. Right now we grow kale, Salanova lettuce, butter head lettuce, romain lettuce, basil, cilantro, mint and parsley. As we learn the technology and when we launch phase two we hope to grow a larger range of produce and even expand into pollinators such as strawberries.